Steven has a B.M. in Music Education from the University of Georgia. He also has a M.M. in Trumpet Performance from the University of South Carolina. His teaching experience includes school bands, auditions, master classes, clinics and private lessons. 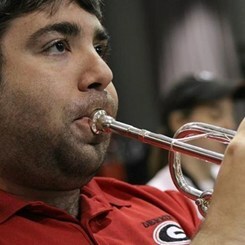 Steven teaches trumpet, french horn and low brass. Request Lessons with Steven today!